Heidi has always loved the great outdoors and prior to working in Tasmania, dreamt of living in such a beautiful place. 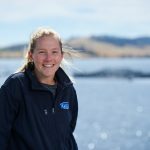 Starting with Tassal as a lab technician in 2009, Heidi completed the National Seafood Industry Leadership Program in 2016 to better prepare herself for a long term career in the industry. Now focussed on her position as Sustainability and Certification Manager, Heidi plays a pivotal role in monitoring our performance criteria to maintain Aquaculture Stewardship Council certification and produces the company’s annual Sustainability Report. “One of the best parts of the job is getting to travel state-wide and spend so much time on the water. I love the fast-paced working environment, the people I work with and the fact my job is never boring”. 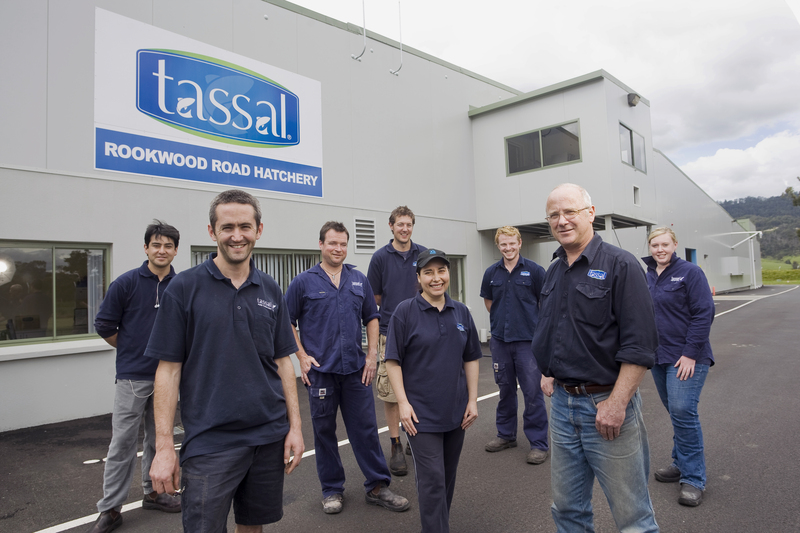 Tim arrived at the company with a drive and vision beyond his years and rose through the ranks at a young age, making the most of the career opportunities Tassal offered. Starting out in Marine Operations, Tim quickly slotted into a management role, completing not only his Master 4 skippers ticket but also qualifications in business management. During his nine years with the company Tim has also worked with the Environment and Sustainability team as well as the Engineering division. The recently installed waste capture technology at Macquarie Harbour was led by Tim’s team. He’s now part of the management team overseeing Tassal’s new Eco Aquaculture site at Okehampton Bay. After 14 years at Tassal, Matt is one of the company’s longer serving employees. His story is a classic example of the opportunities and career path aquaculture can provide. 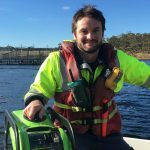 Matt’s first job was at Tassal Margate, where he worked in fish processing while finishing his science degree at university. He has since elevated his career working within marine operations and throughout the Environment and Sustainability department. He has completed an ADAS ROV offshore pilot ticket, ADAS Commercial Dive and Dive Supervisor qualifications and a list of additional tickets (ranging from computer software to environmental auditing qualifications) so long you’d need half a page to list them! 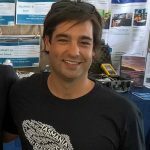 Matt is now Tassal’s Senior Manager – Environment and has been involved in scientific projects both locally and internationally. 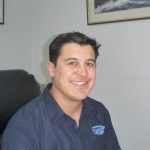 Nathan started at Tassal in 2004 as an attendant at our Huonville processing facility. His passion, determination and positive attitude found him quickly rising through the company as he took advantage of the learning opportunities Tassal had to offer. Nathan has completed a Certificate IV in Business Frontline Management (LMA), Certificate IV in Work Health & Safety and and has obtained a Diploma of Management with Response Learning through Tassal. Also, Nathan is now a third the way through completing a Bachelor of Business degree at UTAS. Throughout his time at Tassal, Nathan has worked between both our Huonville and Margate processing facilities and his hard work was recognised in 2012 when he received Tassal’s ‘Significant Contribution to Safety’ award at the end of the year. Now, Nathan is a smoked manager at Huonville and maintains the same can-do attitude and hard work ethic that he has upheld throughout his 14 years of service.